The world of Jeep ownership is a wonderful one. Filled with adventure, intrigue, and perfecting that famous Wrangler wave. Yes, driving a Jeep automatically sets you apart from other drivers on the road, and rather than simply becoming a new car owner – you become a part of a culture: Jeep Culture. Not only is Jeep Culture a “thing,” it is a defining element in any Jeep driver’s identity. It makes every time you get behind the wheel an adventure. It doesn’t matter whether you are heading out for a day on the trails, or across town for groceries, the Jeep experience does not discriminate. 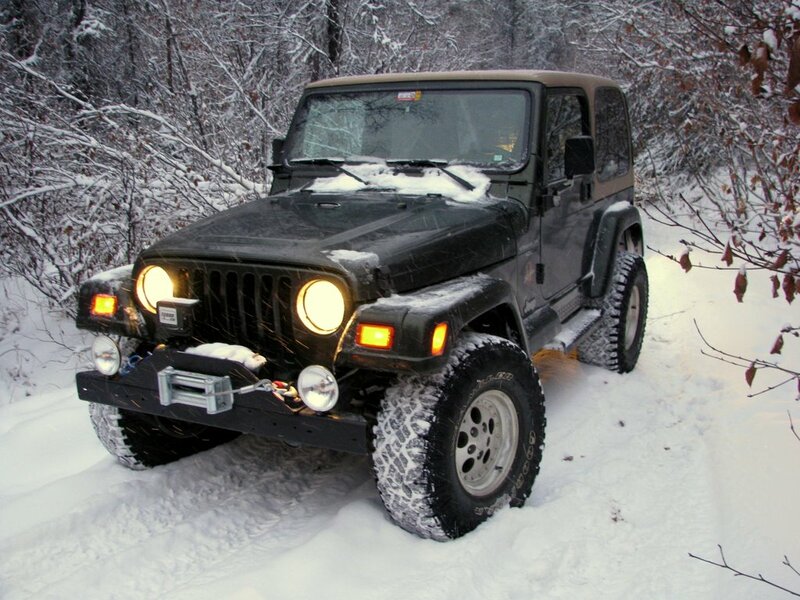 One way to truly solidify your promise of adventure, is to check out lifted Jeeps for sale in your area. Because there is only one thing more exciting than driving home in your new Jeep Wrangler, and that’s driving home in your newly lifted Jeep Wrangler. And until you actually get behind the wheel and head off the road in one, you won’t truly know the feeling. What is a Lifted Jeep? Jeep branded vehicles are some of the most off-road ready vehicles available on the mainstream market. While the majority of people have no issues taking their Wrangler from the factory straight to the trails, others require their Jeep to be better equipped to handle ultra-rugged terrain. Rather than stay off the steepest trails, and go around that massive downed oak tree, drivers are opting to lift their Jeep vehicles for the ultimate experience. Lifting a Jeep is essentially exactly how it sounds. Your Jeep Wrangler is made taller by a lift kit, and depending on the type, can run you anywhere from a few hundred dollars, to a few thousand dollars. While it ultimately depends on how much lift your adventurous lifestyle requires, budget also plays an important role in the process. There is absolutely no question that a lifted Jeep Wrangler is the ultimate off-road adventure vehicle. No other SUV will get you to the otherwise impossible locations you are desperate to visit. Through rivers, over rocks, down beaches, and over mountains – a lifted Jeep Wrangler can get you there. 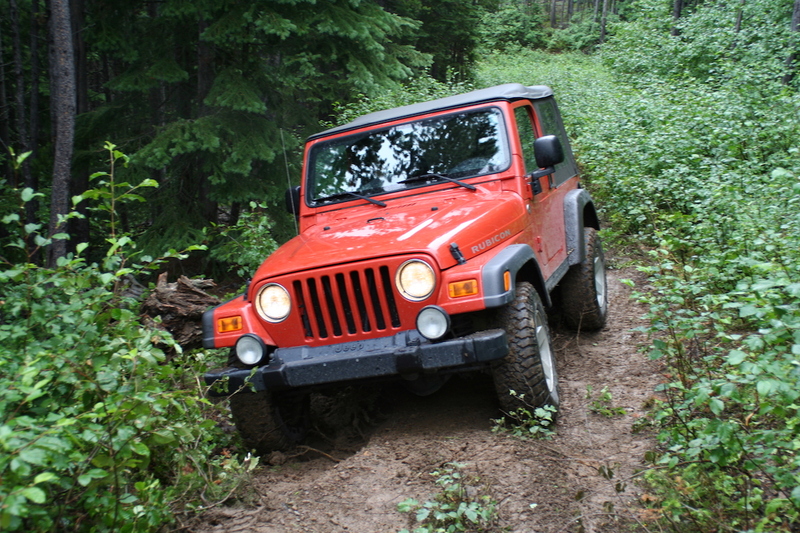 If you have always dreamed of continuing past where the pavement ends, you need to consider a lifted Wrangler. If you worry that your dreams are bigger than your wallet, don’t. There are great ways to secure the fully capable Wrangler you have always wanted. Just as drivers save money when they purchase a used car, you can also save money by purchasing a pre-owned Wrangler that has already been lifted. Let others do the heavy lifting, so you don’t have to. Start by researching dealerships in your area that sell lifted Jeeps. Be sure to inquire about what products they use, and their process. While you can likely find a lifted Jeep from a private seller for less money, it is important to know where the work on the vehicle was done. Not only will this ensure that the work was completed correctly, but it will also give you a clearer picture of what was done to the Wrangler. No matter what, always be sure to have a paper trail for any work completed on a vehicle that you are thinking about purchasing. By purchasing a Wrangler that has already been lifted, you are likely to save upwards of a couple thousand dollars, compared to if you did it yourself. 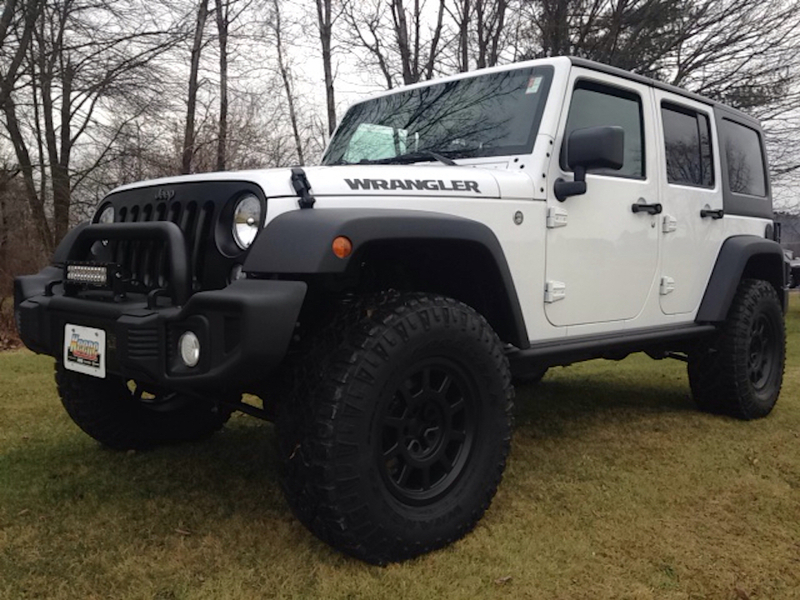 Spend time looking for the exact Wrangler you want, with the lift kit installed that you desire. It might not be as easy as finding other used cars for sale, but if you are patient enough to wait for the right Jeep vehicle to come along, it will certainly be worth it. Here at Keene Chrysler Dodge Jeep Ram, you have the opportunity to purchase an expertly lifted Jeep outfitted with parts from American Expedition Vehicles. AEV has been an authority on aftermarket Jeep products since 1997, and is widely recognized as an authority in the industry. By partnering with AEV, Keene is able to offer quality Jeep Vehicles outfitted with the very best lift kits available on the market. JK231: This most basic lift package is the most affordable, and the best option for drivers unsure about the entire lifting process. Featuring a lower lift height, this AEV package makes getting in and out of the Wrangler easy, and is highlighted by a unique front AEV-inspired bumper. 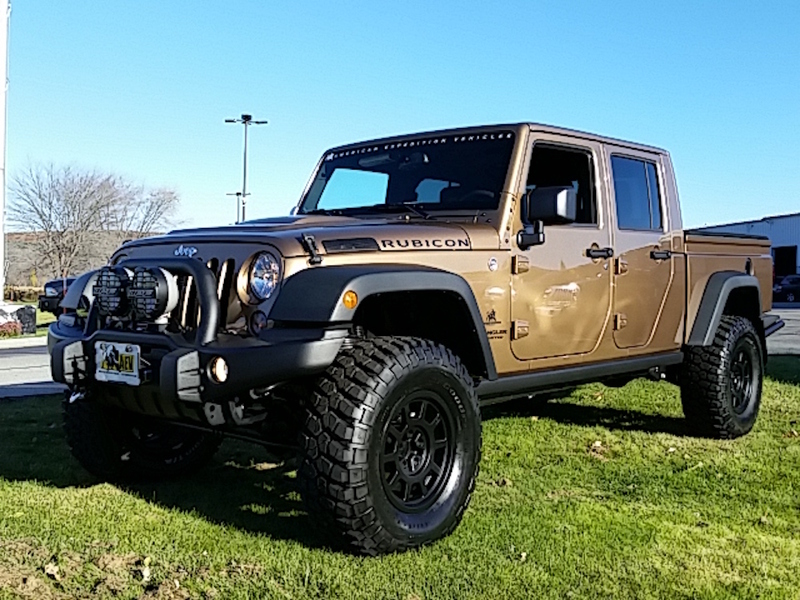 JK231S: Pre-owned Wranglers outfitted with this mid-level lift kit enjoy all of the benefits of the basic package, as well as an AEV rear bumper, a 3.5-inch premium suspension lift, a tire carrier, and 35-inch tires to compliment the new lift height. This middle package option is a good one for drivers who want a lift, but aren’t ready to commit to all of the bells and whistles. JK231R: This is the upper-level package in the AEV lineup, and is already installed on a lot of used Wranglers for sale. With everything the first two packages offer, the JK231R adds a Warn winch, mud terrain tires, a heat reduction hood, and a skid plate protector. Any pre-owned Wrangler outfitted with this lift kit from AEV is promised the ultimate off-road experience, as well as protection. Aside from adding AEV lift kits to Jeep vehicles, Keene can also up the performance ante on any Jeep Wrangler with the addition of a 5.7-liter or 6.7-liter HEMI engine. Not for the faint of heart, these two powerhouses will propel you through any trail, terrain, and incline challenge. Keene has a large selection of great pre-loved Jeep Wranglers that have been expertly lifted by previous owners. Save a ton of money, and come in to Keene to check out just how comprehensive our used inventory of lifted Jeeps actually is. We can’t wait to show you what we have in store for your next off-road excursion.